Welcome back to Ask Sentai! We've got a lot to cover today, so let's get to it. As always, if you have a question for us, make sure to post it on our ask.fm page and we will try our hardest to answer. Scintillating indeed! We are so happy about how well the show is doing, everyone here is going nuts. :) As far as the home video version, I am happy to report that we are working on the physical release right now! While I can't tell you an exact release date yet, I can say that things are running pretty smoothly. Very excited! 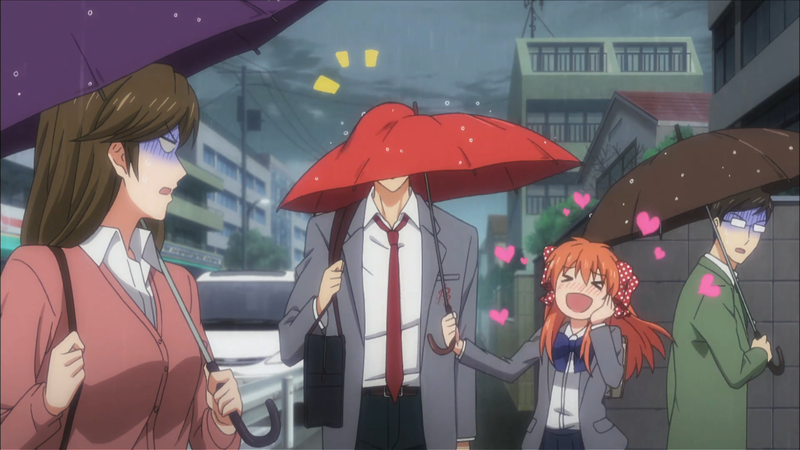 Nozaki-kun is a show that is near and dear to my heart. The comedy was so fresh, characters were interesting and enjoyable...even the silly tanuki thing hit all the right spots. Definitely something on my personal top 5 list. Do you know when Parasyte will air on Toonami? Do you guys do all of your English dubs in house, or do you send them to other companies like Bang Zoom and NYAV? In past years, Sentai relied on several outside studios including Seraphim Studios, Bang Zoom and New York AV for our ADR work. That changed in 2014 when Sentai built its own ADR facilities and brought those important functions completely in-house. Now every single Sentai Filmworks release is produced by, you guessed it, Sentai Studios. Do you guys have a Top 5 of your most requested shows to air on Toonami as of late? I would imagine that now that the possibility EXISTS, you've gotten quite a few interesting requests for shows from your vault to get on Toonami. Well the top two most requested titles, Akame ga Kill! and Parasyte -the maxim-, are either already on or making their way there. You guys really don't waste any time either, we started seeing "Parasyte on Toonami pls" comments pop up almost immediately after we announced the acquisition! As for other shows that may appear on Toonami...you tell us. What do YOU want to see on there? Hit us up on Facebook and Twitter and let us know what you think would be a good fit! I'm super excited for Beyond the Boundary! The cast reveals are really cool, and I really like those videos you guys make. Will we get to see who plays Mirai soon? Right now we have Hiroomi, Mitsuki and Akihito already up on our Youtube channel. If you haven't taken a look, make your way there and check them out. The final cast reveal for Mirai Kuriyama will be added after Labor day on Tuesday, so watch out for that! Why no BD on Rail Wars? This is one of those titles that falls in the "hold back period" category, which, if you're new to this column, means that for some reason or another the blu-ray version of the title can't be released until after a certain amount of time has elapsed. Although there isn't a blu-ray disc release date set for now, I can assure you that we are trying our best to make sure that it will be out as soon a possible. We thank you for your patience! Will we see more Sentai industry panels in 2016 outside of AX and ones in Texas? We are absolutely trying to make it out to more cons next year bacause we love hanging out with you all! Expect more news on this front in the near future, but right now it's looking good. I ordered the NGNL Box set when it came out, but I still haven’t gotten it. Any idea why? That's it for this week! Next week we'll go over the essential items in the Official Umaru-chan Food Pyramid (Spoilers: lots of junk food). See ya!